The European online poker market has struggled for many years due to a number of reasons. Strict online gaming regulations, very high tax fees, a sluggish economy and competition from illegal online poker operators caused the legalized online poker market to stagnate. Gaming regulators from France, Spain, Portugal and Italy decided to enter into a shared liquidity program that would allow them to combine their online poker players in an attempt to revive the stagnated market and give poker players a shot at bigger prize pools and more competition. France and Spain have witnessed an improvement in their online poker markets. Three operators have so far entered the market. PokerStars launched operations in Jan 2018 and partypoker entered the market in June. France’s biggest online poker operator Winamax entered the market in July and now iPoker becomes the fourth operator to enter the market. French gaming regulator ARJEL granted iPoker an online poker license back in March but the poker operator had to patiently wait to get its online poker license from the Spanish gaming regulator. The license was finally granted and iPoker is expected to launch shared liquidity operations from November 26. 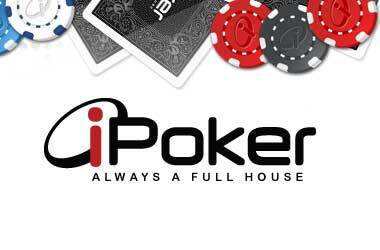 This is good news for a number of online poker rooms who use the iPoker network. Some of the operators on the iPoker network include BetClic and Unibet.fr that offer services to the French market while Casino Barcelona, Bet365, Sportium and Betfair offer their services to the Spanish market. Players who are signed to any of the online poker rooms operating on the iPoker network will have to go through a verification process in order to gain access to the shared liquidity market. The shared liquidity market is expected to get bigger and better once Italy joins the program. Things have been delayed as Italy’s new government is not very keen on moving forward with the online shared liquidity program. Switzerland passed the ‘Money Gaming Act’ earlier this month which will allow online casino and online poker to be offered from Jan 1, 2019. A number of international operators are looking to obtain a license and enter Switzerland.